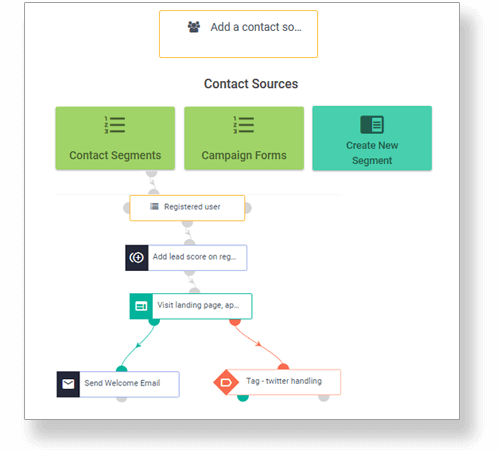 Build automated email workflows within the email campaign builder in seconds based on various behavioral or engagement triggers for any particular segment. Create email campaigns based on advanced list segmentation. Segment your customers based on their behaviour, events, location, or buyer’s stage. Rather than just name, phone number and email ID, look up your lists based on social media interactions or location or any other field you can think of. Create emails that your customers will relate to. Engage in one-to-one conversations, build a relationship, and make way for long-term customer loyalty. Send the right message to the right customer at the right time. Trigger customized emails based on customer behavior for higher email engagement. Speed up customer activation with email template personalization. 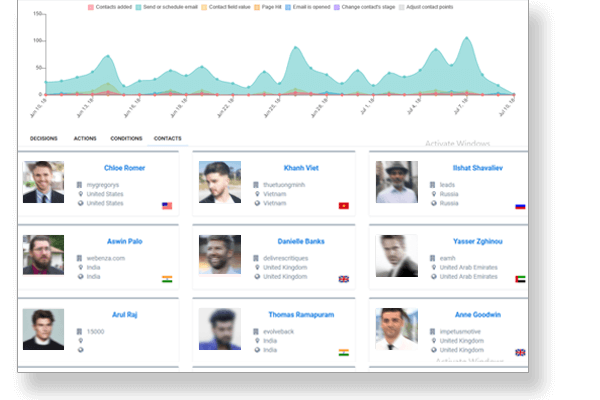 Personalize your email templates based on individual contact fields with email activity, website page visits, and time zone of your leads/customers. Retarget anonymous and dormant leads with dynamic content and increase the overall email engagement. Do more with less efforts. Schedule autoresponders for repetitive emails like welcome emails, birthday or such event-based emails, thank you emails, and more. Create various conditions and action triggers for your autoresponders. Get accurate data and performance analysis for all your email automation campaigns with real-time analytics. Identify what caused a dip in performance or spot the reasons that made your campaigns exceed your expectations. Trigger re-engagement email campaigns for those customers who haven’t engaged for some time. Engage customers who did not engage with your last email. Test every element of your email campaign – content, design, CTA, element placements, and more – to be sure that the winning result triggers more engagement and conversions for your brand. Use multiple SMTP servers for higher inbox placement, lesser lagging issues, and more engagement. 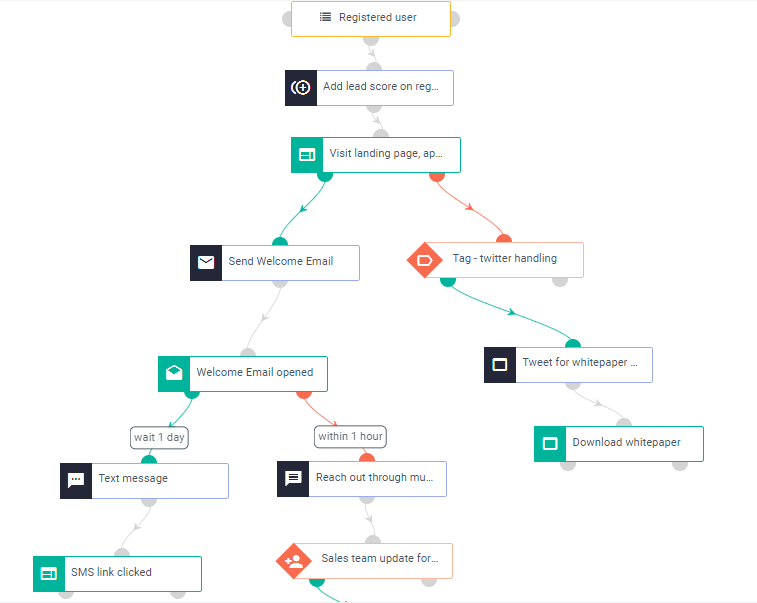 Create automated email workflow, build your own drip campaigns, schedule relevant email messages, design your own email template, and so much more. Choose from a list of ready-to-use email templates to start customizing it. 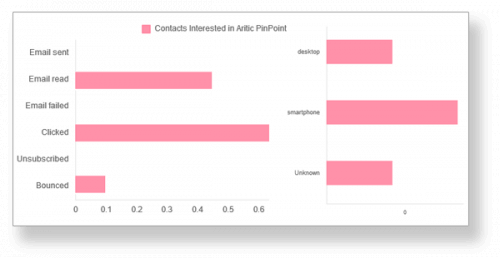 Each template within Aritic PinPoint is mobile-optimized and responsive to offer consistency in your marketing campaigns and smooth user experience across all devices. Know how each campaign is performing over a period of time. 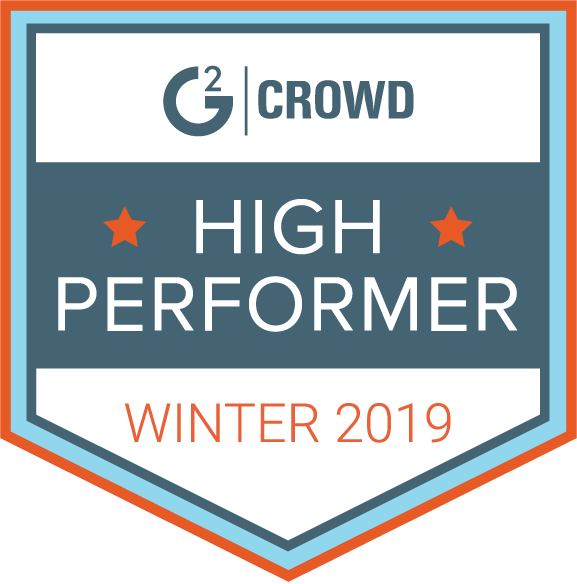 Monitor and track each performance metrics and keep improving your campaigns. Building nurturing email campaigns are quick and easy. No IT or design help required. Start building a personalized email workflow within the email campaign studio, using multiple action triggers, conditions, and decision triggers. Customize any available email template or add your own HTML code within the builder to get going. Add, delete or modify elements simply by dragging the elements you need. Customise your email templates with the drag and drop editor. Iterate any elements that are not aligned to your business needs, and create that perfect template for your campaigns. Focus on improving your email campaign performance while Aritic PinPoint helps you with automated email workflow building within the campaign studio.